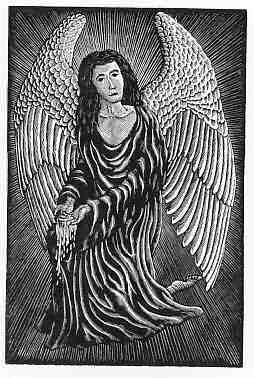 Engraving of an angel. Printed in an edition of 200. Image size 4"x6". Mat size 9"x12".